15 Aug. Help for the Milan homeless. Ferragosto – celebrating the Assumption of the Virgin Mary on 15 August – is arguably the most important holiday on the Italian calendar, but many people in the city will not enjoy it without some practical help. Two charitable associations are offering everybody a chance to help out, and places are rapidly being taken for Wednesday’s events. 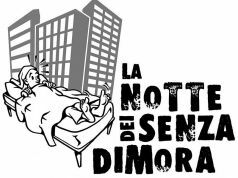 The non-denominational Milan City Angels volunteers are inviting Milanesi, residents or not, to spend a day with the around 200 homeless people aged from 18 to 80 who are helped daily at the Oasi dei Clochards welcome centre in Via Cesare Lombroso 99. 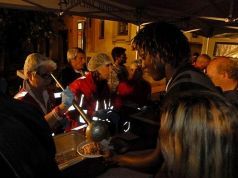 Visitors can join mayor Beppe Sala, councillor Pierfrancesco Majorino, Monsignor Franco Buzzi, Imam Khaled Elhedini and other personalities to serve meals and join the homeless at table. Visitors are also encouraged to bring food and non-alcoholic drinks. To sign up for the day, visit the City Angels’ Facebook page. Across town in Via Giovanni Battista Boeri 3, the Christian non-profit Opera Cardinal Ferrari is inviting well-wishers to spend the day with people and families in difficulty. The festival will run from 11.00 to 16.00, with mass celebrated at 12.00 and a fundraising solidarity lunch starting at 13.00. Suggested minimum donations are €25 for adults and €15 for juniors. Supporters can book in by phone on 02 846 7411 or by email at dono@operacardinalferrari.it. Ferragosto gets its name from the Feriae Augusti, introduced by the Emperor Augustus in 18 BC.